Lakeside Cottages, like it says on the box, is beside the lake at Toya Bunkah and offers a great swimming pool (we heard later it was heated, but didn’t dip our toes in to check) and stunning views from all rooms. Housed in a double-storey block with a lovely garden, tiled and painted rooms are furnished with a simple wooden bed with clean linen. Bedside tables are a bit worn and battered, but there are bedside lamps for nighttime reading — some made of driftwood, and in other rooms you get a horse head (wooden not The Godfather variety)(www.amazon.com/Godfather-Coppola-Restoration-Marlon-Brando/dp/B0019L770A). Some walls look like they have a damp problem, and paint is peeling slightly. Power points are placed too high to be practical, so you’ll have to be inventive when charging your devices. Tiled bathrooms could do with a bit of a scrub round the edges, but weren’t too bad, and provide a glass shower screen and the washbasin has a bench to store your toiletries. The major flaw with the bathroom, however is that the dividing wall doesn’t reach the ceiling, so you’ll hear all noises (and smells) from the adjoining room. Bathrooms in the Superior and Deluxe rooms provide hot water, and the Standard rooms strangely only have hot water if there are guests in the adjoining room?! 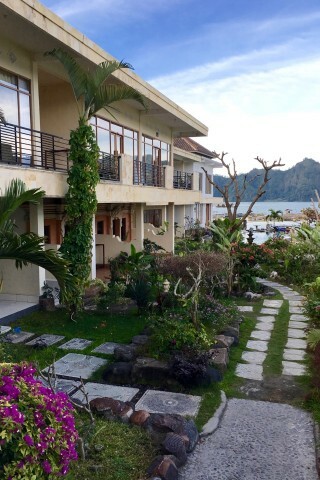 The more expensive rooms overlook the lake, Gunung Abang and across to Trunyun village, and the less expensive rooms, Gunung Batur and farmland. Both superior and deluxe rooms are appointed with a furnished terrace from which to enjoy the view. Breakfast is included and WiFi is free. Nearby Black Lava Hostel also has a great view (although no pool) and the private rooms are slightly better than the standard rooms here. However while the rooms here are basic and overpriced for what they offer, but the cheaper rooms are not such a bad deal. 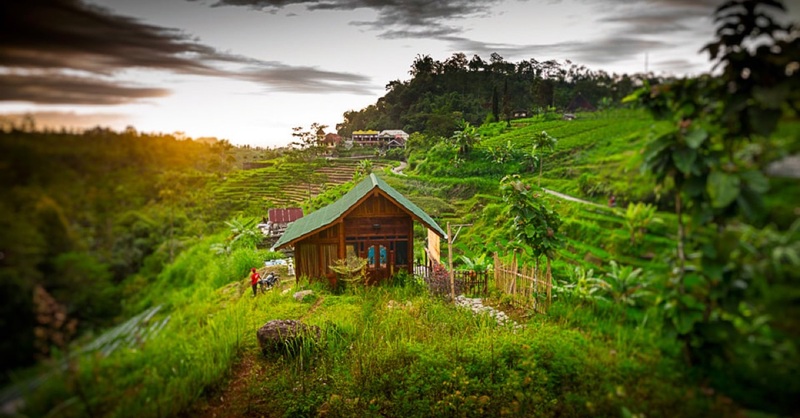 As with most hotels in the area, Lakeside Cottages can arrange trekking and tours.